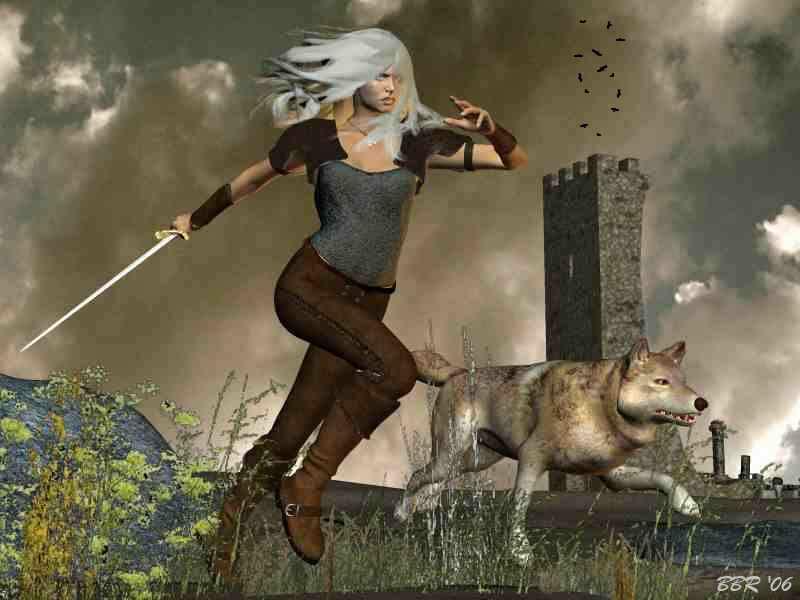 Kalika Wolfblade, and her bonded companion, Hunter, searching for enemies on the wilderness of their homeworld. Kalika and Hunter have been characters in both of my Amber games. Image created with Poser 6 and Paint Shop Pro 9.